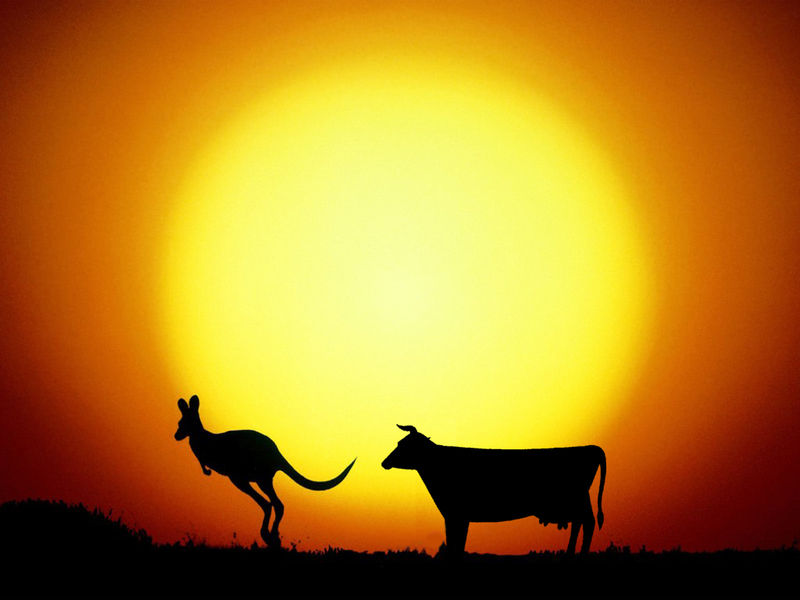 If cows had digestive systems of kangaroos, Global Warming could be prevented | UNBELIEVABLE! Grazing animals such as kangaroos or wallabies have very similar digestive systems to cows: they all process food in multiple stomach pouches, let microbes in one pouch do most of the work, and the fermentation of the food produces methane. But there is a significant difference: kangaroos and wallabies are far more efficient with their emissions. In fact, the average wallaby will emit 80% less methane than the average cow from the same amount of plant matter. Scientists have recently found why this happens. They have isolated a type of bacteria, called WG-1, that grows in the guts of Tammar Wallabies, and believe this is the key to low methane production. Upon analysing the way it broke down plant matter, they found it produced a substance called succinate, which isn’t found in high-methane-producing ruminant animal guts – i.e. animals such as cows. So, if scientists were able to turn a cow’s digestive system into a kangaroo’s digetsive system, a major cause of Climate Change would be significantly reduced. Or maybe humans should just start eating kangaroos instead of cows. Posted on July 10, 2011, in Biology, Ecology and tagged bacteria, climate change, cows, Genetic engineering, Global Warming, kangaroos, methane, The Greenhouse Effect, wallabies, WG-1. Bookmark the permalink. 3 Comments. Agreed, we have the technology to genetically modify almost any cell of any living creature. However, revamping the entire digestive system of a cow would be a bigger challenge – and animal rights activists would certainly condemn it for being too cruel. So that’s why this discovery probably won’t be put into action any time soon.